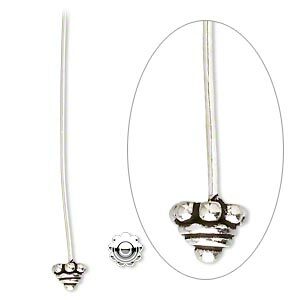 Head pin, antiqued sterling silver, 1-3/8 inches with 8x5mm half-round beaded cap, 21 gauge. Sold per pkg of 2. 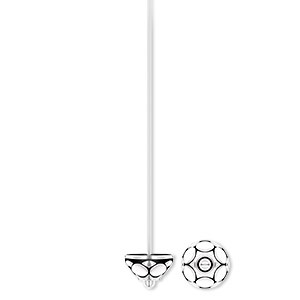 Item Number: H20-6222FN Have a question about this item? Easy to use! 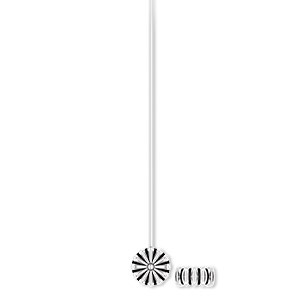 A sterling silver ornament has been pre-soldered to a 21 gauge wire. Simply string on any coordinating beads. Make a top loop for an earring finding, attach and you're done. 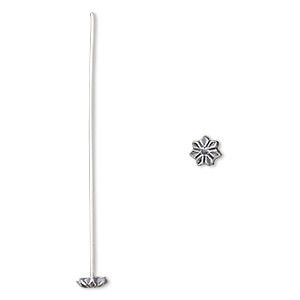 Head pin, sterling silver, 2 inches with 5mm flower, 21 gauge. Sold per pkg 4. 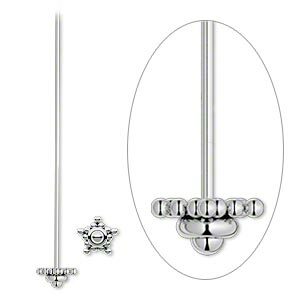 Head pin, antiqued sterling silver, 2 inches with 6mm star, 21 gauge. Sold per pkg of 2. 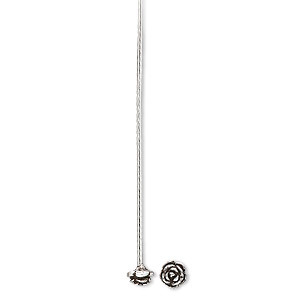 Head pin, antiqued sterling silver, 2-inches long with 6mm flower, 20 gauge. Sold per pkg 4. 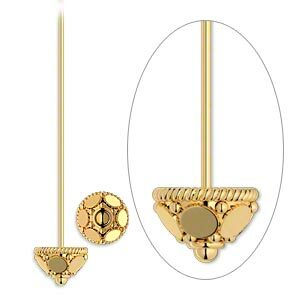 Head pin, gold-finished sterling silver, 2-inches with 8x5mm flower bead cap, 21 gauge. Sold per pkg of 2. 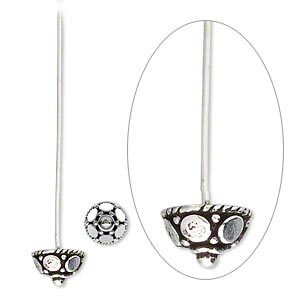 Head pin, antiqued sterling silver, 2 inches with 4mm beaded round, 19 gauge. Sold per pkg of 2. 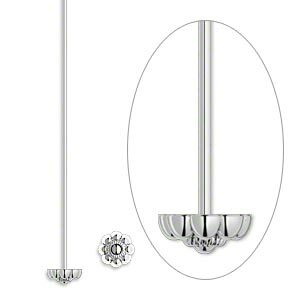 Head pin, antiqued sterling silver, 2 inches with 4mm flower, 20 gauge. Sold per pkg of 4. 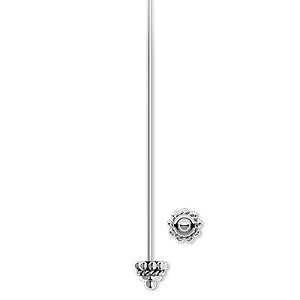 Head pin, antiqued sterling silver, 2 inches with 5mm rondelle, 21 gauge. Sold per pkg of 2. 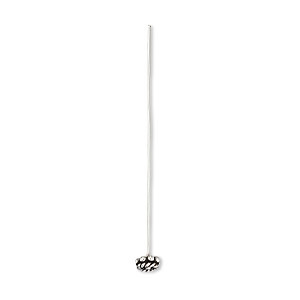 Head pin, antiqued sterling silver, 2 inches with 4-5mm rondelle, 19 gauge. Sold per pkg of 2.